Since my last blog, we seem to have been up to all sorts of things. We have had visitors from the UK staying with us for two weeks and, of course, they wanted to see all that Niagara has to offer including the usual tourist attractions of Niagara Falls, Maid of the Mist boat trip, Floral Clock, Queenston Heights and Niagara-on-the-Lake. When you live in a popular tourist destination it is easy to show all of these attractions but it is only whilst living here, you discover the many things that are not on the typical tourist list. I have written at length before about the many wineries in the area and we took our visitors to quite a few of these so with the weather remaining so wonderful, we suggested a visit to some of the many waterfalls we have near by. 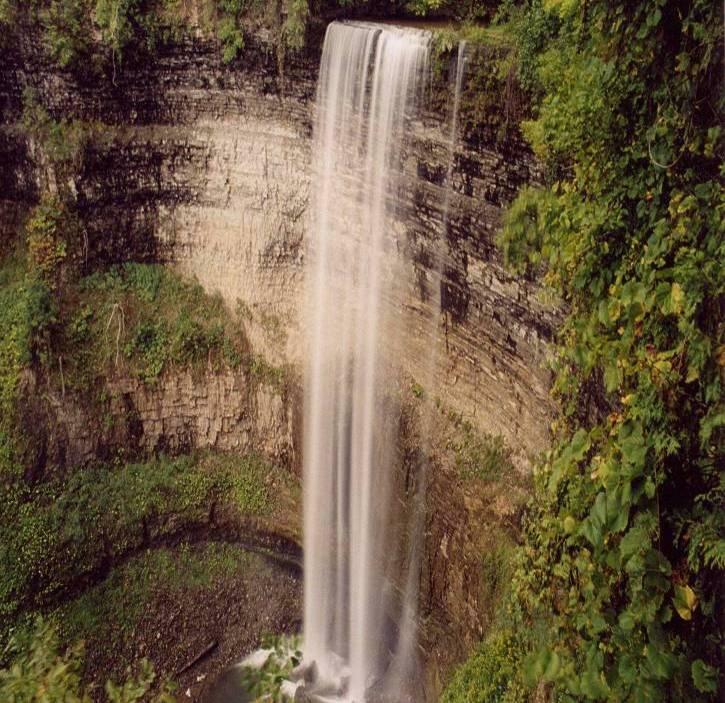 In fact, between Dundas and Niagara-on-the-Lake, there are 100 waterfalls! 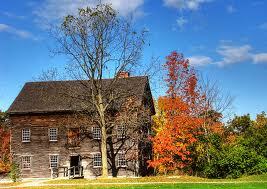 Dundas is an attractive small town just a 40 minute drive from NOTL, surrounded by the Niagara Escarpment. At the top of the escarpment as you drive out of Dundas is Bullocks Corners and once you park in a small parking lot there, it is a short walk through woodland to Websters Falls. Once the site of a grand home and several mills, it is now a beautiful park and the waterfall is very impressive. From here, you can walk for around half a mile to Tews Falls. Again, very impressive with a huge drop of almost 150 feet. There are lots of spots around here for picnics so we took the time to sit under a tree within the park and have our lunch. 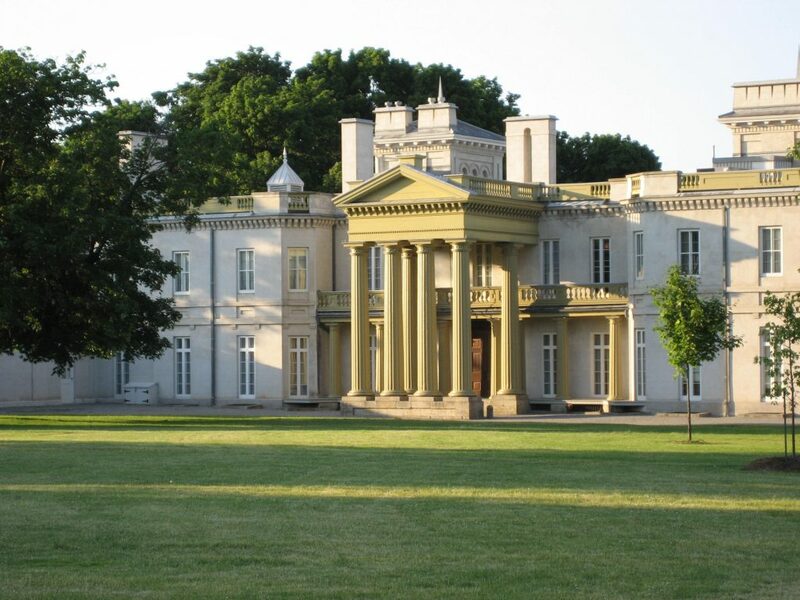 Once we had enjoyed nature for long enough, we took our visitors to Dundurn Castle in Hamilton. It is actually a grand house built in the early 1800s and it is open to the public. We had never been before and coming from England where there are many such houses, it was really interesting to see such a house in Ontario. The tour guide was very informative and we had a great time. As it was now around 3pm, we headed towards home on the QEW and about half way back, we left the highway near Vineland and headed for Balls Falls – another beautiful waterfall in a woodland setting. They have built a fantastic visitor centre here and by the lower falls, there is a small pioneer village consisting of a grist mill, church, some houses and a barn. Well worth a visit. We are always surprised at how much there is to see and do around our area and all within one hour of our front door. If you wish to view some homes in the area or just want so guidance on where to look, just get in touch with me, Kevin Stokes, at my Niagara Homes office and I will be very happy to help you. This entry was posted in Blog, Uncategorized on October 2, 2013 by wp_admin.